Amid Mideast Turmoil, The Shiites Have Risen In Recent Decades For centuries, Islam's Shiite minority was considered the downtrodden of the Islamic world. But as turbulence gripped the Middle East in recent decades, their prospects changed dramatically. Editor's Note: Back in 2007, NPR reported on the Shiite-Sunni split that was contributing to conflicts in many parts of the Muslim world. In light of the current fighting in Iraq, which is along sectarian lines, NPR is republishing the series. The text includes a number of updates, while the audio is from the original broadcasts seven years ago. Here is Part 2 of the series, on the rise of the Shiites in recent decades. At the beginning of the 20th century, the Shiites of Iraq and Lebanon were ruled by Sunni Ottoman sultans. The Shiites of Arabia were under the authority of Sunni tribal leaders. In Persia, the monarchy and the Shiite clergy coexisted so long as neither ventured into the other's realm. Reza Pahlavi, the first shah of Iran, who reigned from 1925-41. He sought to modernize Iran and build a secular state, which led to conflicts with the Shiite clergy. In Shiite Islam, this has been known as Quietism. Shiite clerics by and large believed that politics was an imperfect practice, so it was better to look inward. "They accepted the legitimacy of the rule of monarchs so long as they did not violate religious law, so long as they did not harm Shiism," says Vali Nasr, author of The Shia Revival, "and as long as they helped the preservation of the community. So it was not expected that government would be Islamic in a perfect sense. All that was necessary was for government to protect religion." That arrangement began to crumble soon after World War I. 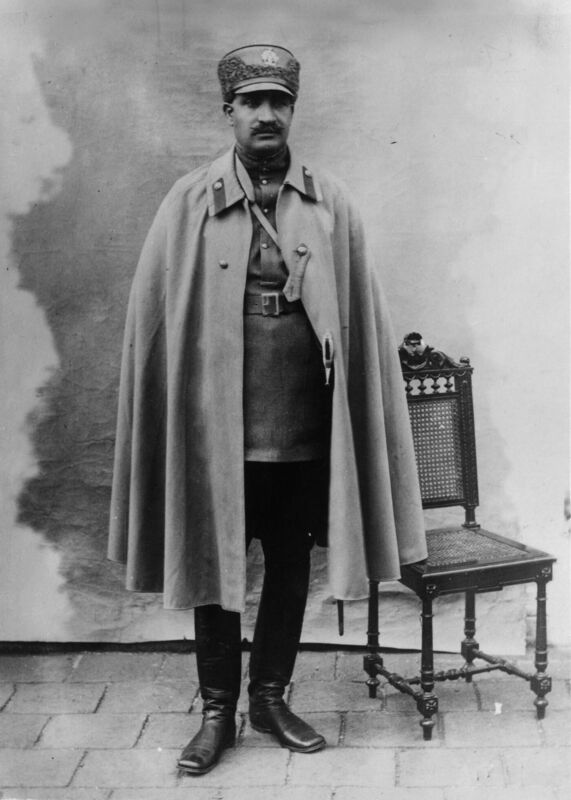 In Persia, Reza Pahlavi, a military officer, seized power in a coup in 1925 and declared himself shah. Pahlavi changed the name of the state to Iran and set about creating a secular government, much to the dismay of some of the Shiite clergy. And in the 1930s, much to the dismay of the Great Powers, Shah Reza Pahlavi flirted with Nazi Germany. Britain and the Soviet Union seized parts of Iran early in World War II, and in 1941 they forced the shah to abdicate the throne in Tehran in favor of his son, Shah Mohammad Reza Pahlavi. Mohammad Reza Pahlavi, who succeeded his father as shah, reigned from 1941 to 1979. 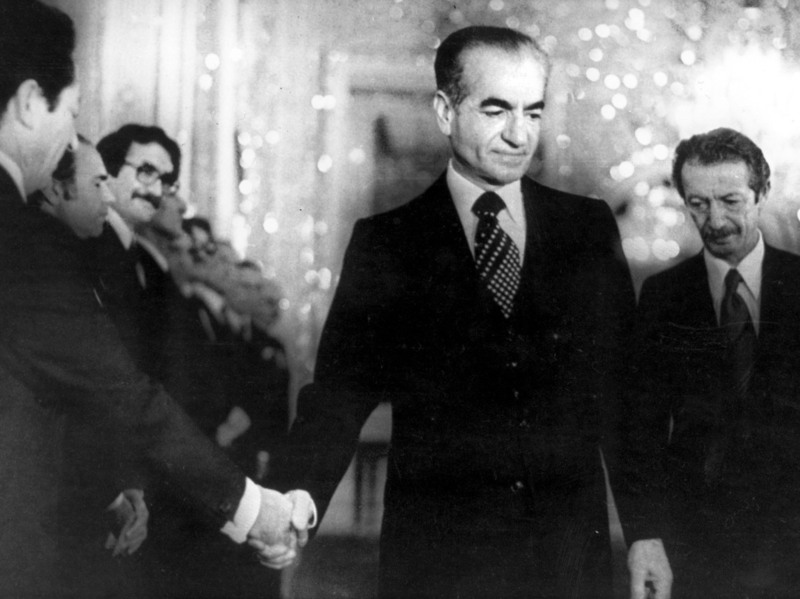 He's shown here shaking hands with a government minister days before leaving Iran in 1979. The young shah's reign was also marked with instability. In 1953, political turmoil broke out in Tehran, forcing the shah to flee the country, only to be returned to power in a CIA- and British-engineered coup that ousted the nationalist prime minister Mohammad Mossadegh. After that, the shah clamped down, creating a merciless secret police that sought to destroy all efforts to challenge his rule. The one institution that the shah could not dominate was the mosque. "Dissidents gravitated to the religious institution just because the secret police didn't and couldn't control it in the way they were controlling everything else," says Juan Cole, author of Sacred Space and Holy War: The Politics, Culture and History of Shi'ite Islam. One of those dissidents was Ayatollah Ruhollah Khomeini. Born in 1900, Khomeini began to challenge the shah's rule in the 1950s. In 1963, he was briefly arrested and then exiled to southern Iraq. In exile, Khomeini developed his concept of what an Islamic state would be: a Shiite Islamic state, under the control of the clergy. "Khomeini said only the clerics had the true knowledge of the law, of Islamic law, to allow them to govern the state, to be the leaders, the political leaders of the state," says Gregory Gause, professor of Middle East politics at the University of Vermont. "This was an enormous innovation in Shia thought and still widely questioned and not accepted among major Shia religious figures." At that time, among many Shiite clerics in Iraq, Iran and Lebanon, Khomeini's views represented a challenge to a fundamental tenet of Shiism, the role of the Twelfth Imam, the Hidden Imam who disappeared in the 9th century and who, according to the faithful, will return when God decides to establish justice on Earth. "This ran in the face of the whole logic of Shiism, which believed that kind of authority belonged only to the imams," the historical leaders of Shiism, Nasr says. In 1978, a popular movement exploded in the streets of Iran's cities, aimed at overthrowing the shah. From exile, Ayatollah Khomeini emerged as the revolution's leader, and in early 1979, after the shah fled the country, Khomeini returned. 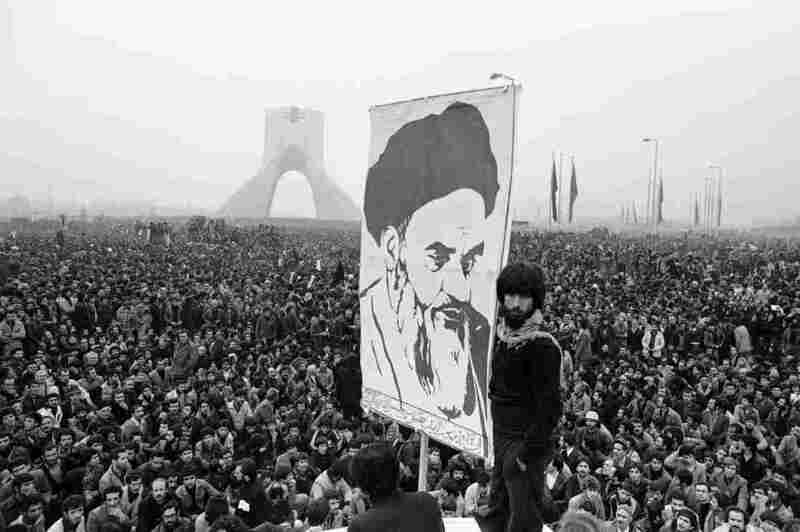 The revolution in Iran was a tempest of conflicting ideologies, mixing communism, anti-imperialism and secular pluralism with Khomeini's ideas about an Islamic state. 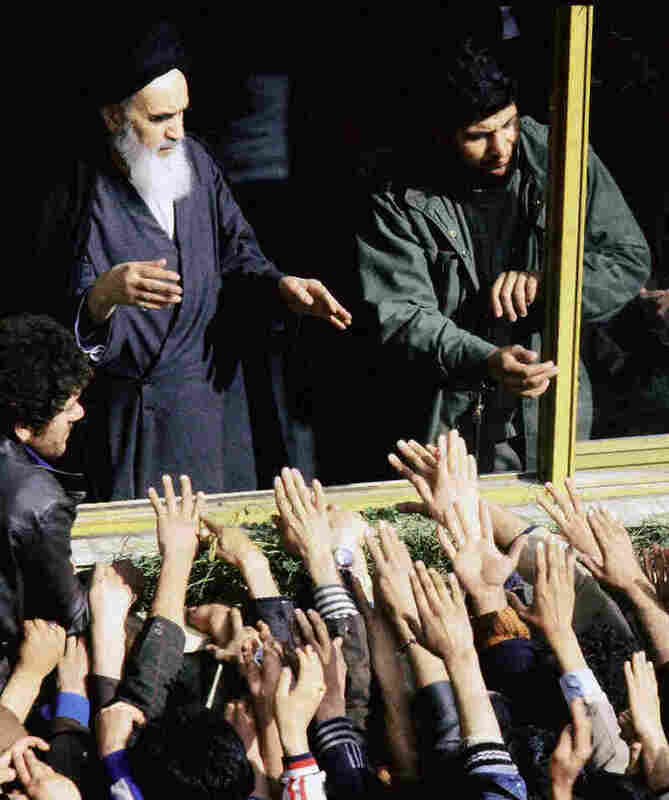 In the midst of the chaos, Khomeini oversaw the writing of a constitution that gave most of the state's power to the supreme religious leader. In 1979, Iranian revolutionary students seized the U.S. Embassy in Tehran, making hostages of the diplomats there. And in a referendum, Khomeini's constitution was adopted. But some doubt whether Iranians knew precisely what they were voting for. Ray Takeyh, author of Hidden Iran: Paradox and Power in the Islamic Republic, says: "I'm not quite sure if it was understood at that time by the frenzied Iranian populace just coming out of a revolutionary experience where they had managed a remarkable task of displacing what appeared to be a robust monarchy, that they were actually going to saddle themselves with an office whose prerogatives and powers would remain unaccountable." These events in Iran would have a powerful effect on the wider Islamic world. "The upheaval generated by the Iranian Islamic revolution of 1978-79 emboldened Shia in the Middle East," says Yitzhak Nakash, author of The Shi'is of Iraq. "And it reinforced the trend of activism within Shiism that continues to this day." Khomeini's revolution had a powerful influence first in Lebanon, especially after Israel mounted an invasion in 1982 to eliminate Lebanon as a base for guerrilla attacks of the Palestine Liberation Organization. The Israelis ousted the PLO from Lebanon but sparked the creation of a new enemy: Hezbollah. "This was initially created by Iran," says Augustus Norton, author of Hezbollah: A Short History, "with the active participation of these young Lebanese clerics, really in many cases simply students in their 20s. And this began as a sort of cat's paw of Iranian influence in Lebanon." But Khomeini and his followers did not want his version of Islamic revolution and the Islamic state limited to Shiites. He wanted the Sunni world to embrace it as well. Initially Khomeini's revolution attracted some Sunni enthusiasts. "Certainly for many Sunni activists that were resisting their reactionary governments," Takeyh says, "it was an indication of what power of faith can do in terms of displacing powerful incumbent regimes." But most Sunni Muslims rejected the Iranian revolution as a model for their own societies. Sunni governments reacted aggressively, with Saudi Arabia taking steps to strengthen Sunni fundamentalist movements across the Middle East. Saddam Hussein was most aggressive of all. In 1980, he ordered an invasion of Iran, to topple the Persians, as he dismissively called them, and to seize the Iranian oil fields. This would further deepen the division in the Muslim world between Sunnis and Shiites.